The purchase price was not disclosed but news reports said the value of the deal was between $80 million and $100 million. The California-based startup said on Twitter: "We're excited to announce that Spin is joining the @Ford team! Over the next year, we plan to launch in 100+ markets in close collaboration with cities, transportation planners, advocates, & community and workforce group." Ford's move adds a major new player to the hot segment that includes Uber, Lyft and others operating in dozens of cities worldwide, allowing smartphone users to unlock and ride the scooters and leave them anywhere, with no dock required. 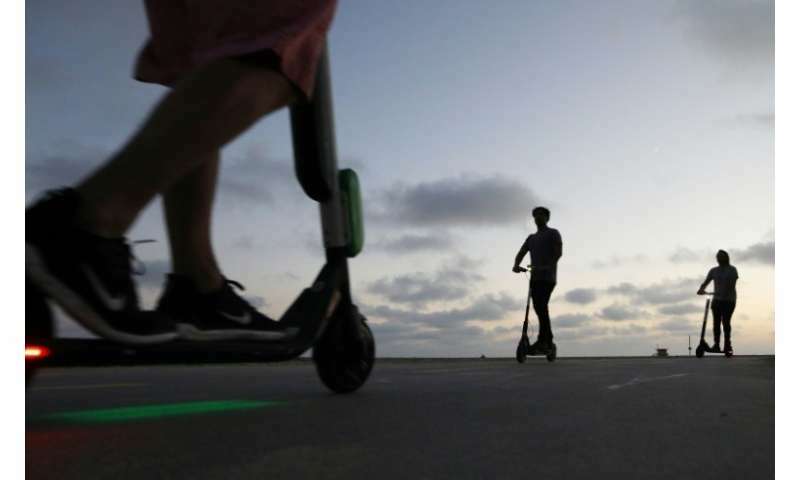 The two-wheeled scooters offer promise to reduce auto traffic, according to backers, but have been criticized for creating clutter and potential road hazards. The luster of scooters has been dimmed by a handful of high-profile accidents, some fatal. Spin said in a statement it hopes to address concerns about the new kind of transport. "In the cities where we operate, we plan to help with enforcement around safety and parking, as well as provide rich data to inform urban planning and bolster sustainability initiatives," said a statement by the founders. "And we'll continue to hire locally, while partnering with the highest quality operations teams to ensure our scooters are well-maintained and integrating well among small businesses, city institutions, and transit infrastructure."